Disc Golf comes to Swanston Farm! 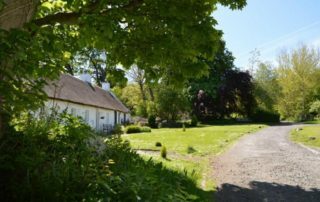 The first record of Swanston Village appears in AD 1214 as part of the Barony of Redhall. An agreement was struck between a farmer, called Sveinn and the local Anglican landowners, to work the land. 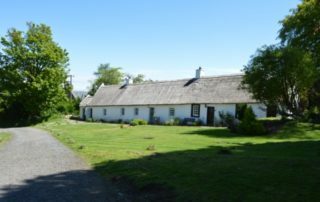 The name of Sveinn’s Farm was then changed over the centuries, to finally end up as the modern documented Swanston. 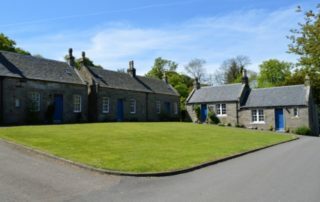 Historical records show that the medieval estate of Swanston stretched from Oxgangs Road to the Pentland Hills and from Bowbridge to the Long Plantation at Dreghorn. 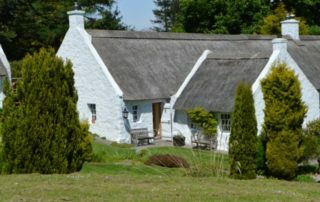 The village of Swanston, about 600 metres above sea level, began in the early eighteenth century around the farm and originally consisted of ten thatched cottages. 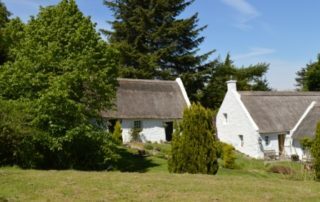 The thatched cottages remain, however when renovated in about 1960 the outer walls were retained and the ten cottages were made in to seven. Most of them have Tay reed thatch and concrete ridges dating from J. Wilson’s Paterson’s restoration of 1964. 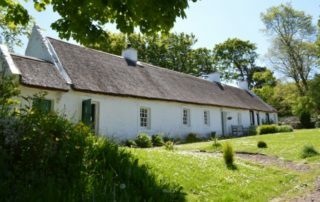 However, in recent years, various individual properties have been partly or fully re-thatched. 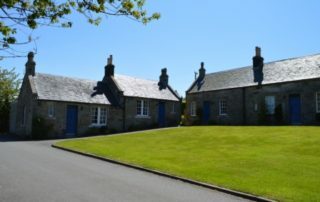 At the turn of the twentieth century the stone cottages of New Swanston with their slate roofs were built on three sides around a grassy area just across the burn from the old village.